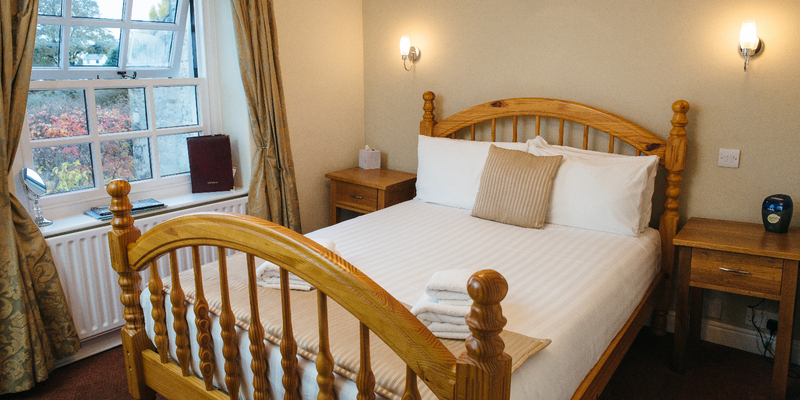 When booking, please feel free to request a room with a spa bath or spacious conservatory; at The Orange Tree we are totally committed to making your stay one of total comfort in an immaculate setting. 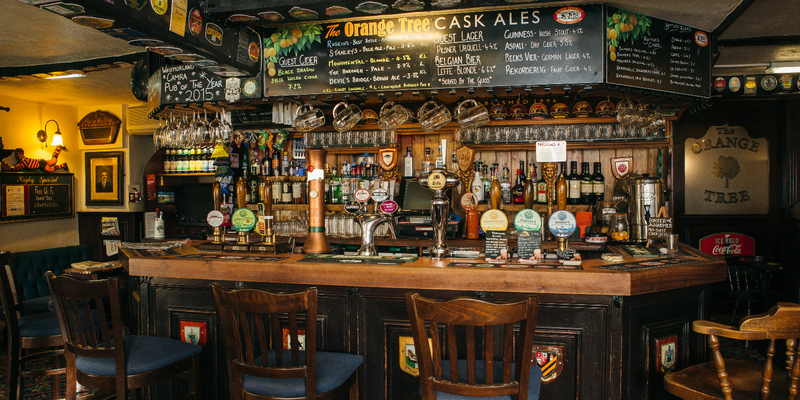 At The Orange Tree, we are proud to serve hearty meals in a restaurant setting that typifies the traditional charm of the English country pub. From a filling Ploughman’s Lunch, to a ‘Millionaire’s Breakfast’ of fillet steak with black pudding and bacon, topped with a free range fried egg, our menu has something to suit all tastes. Our team of young and friendly staff will work tirelessly to ensure a relaxed and enjoyable dining experience. Choose from a selection of our luxury rooms which are all en-suite, contain a flat screen LCD TV and provide hot beverage facilities. 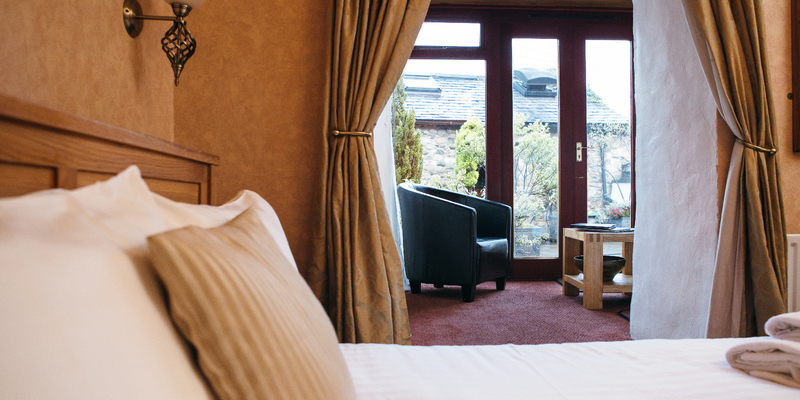 Book today online or book your stay over the phone by calling 01524271716. Accommodation here at The Orange Tree plus golf at Kirkby Lonsdale Golf Club. We are also offering totally custom Mountain biking breaks with B & B in a proper pub with proper grub serving proper beer. 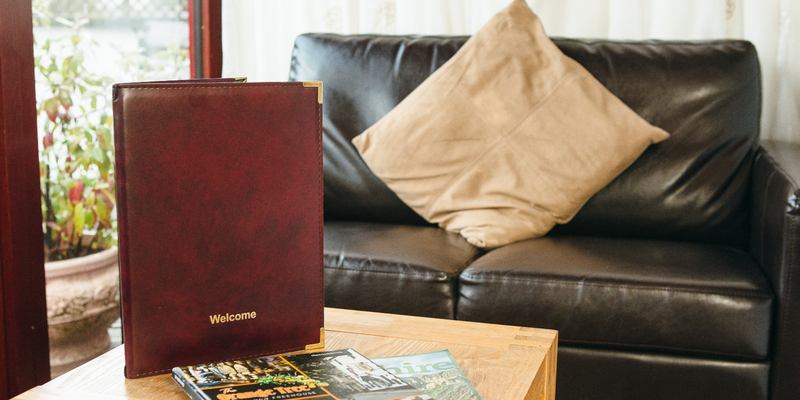 Welcome to The Orange Tree Hotel, we are a family run hotel situated in the heart of Kirkby Lonsdale, providing the perfect base from which to explore the surrounding Lake district and Yorkshire Dales, great for walking holidays, biking trips or just for a relaxing weekend away. Our family run establishment is everything you expect of an English country pub, many regulars say they feel at home as soon as they walk through the door, with our welcoming staff helping to create a relaxed atmosphere, We are renowned for the quality of our sumptuous hearty meals , Homemade OT Burgers, our famous sizzling steaks , fresh haddock in our homemade Kirkby Lonsdale beer batter, just naming a few favourites with our locals. 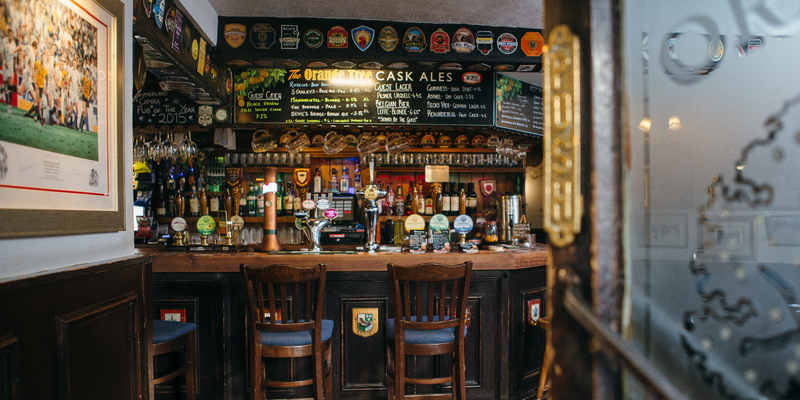 Also serving our own beer from Kirkby Lonsdale award winning brewery, ciders and lager on tap or choose from our extensive wine list. There is something for everyone. George Richard Taylor known to locals as ‘Plug’ was born into the trade, and carried on following his mum and dads footsteps running pubs and now owning his own pub, He bough The hotel in 1996 and changed its name from The Fleece Inn to The Orange Tree after his favourite watering hole in Twickenham, that he visits before going to watch a game, his love of rugby over the years means he has a close relationship with the local Rugby club. However The Orange Tree is more than just a place to have a drink after the game our standard or food has earned us a reputation as has the quality of our accommodation. 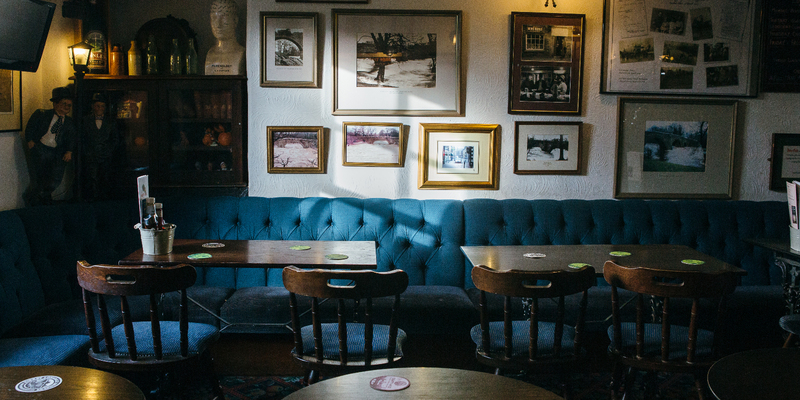 Please call us directly on 01524 271 716 for group bookings.